Consider the golden rules for caring for your hair, do you know what they are? Or do you assume that you know? Caring for colour-treated hair is much the same but keeping long-lasting colour and well conditioned hair requires a little more thought. 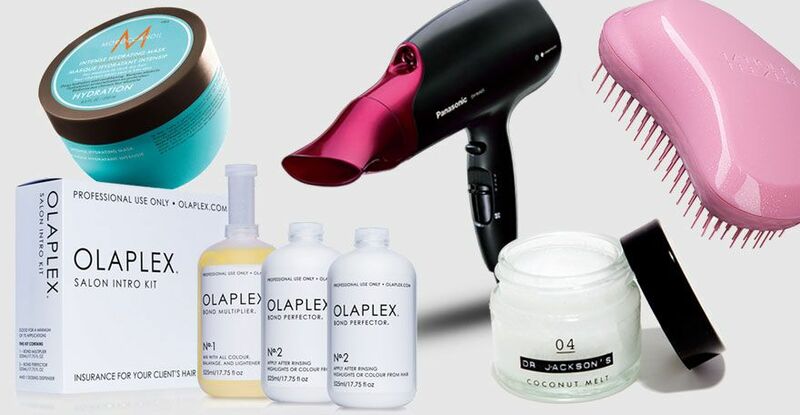 From the right amount of times you should wash your hair to using treatments and choosing the best hair dryers uk, consider these haircare top tips for looking after coloured hair. Using an appropriate shampoo for your coloured hair can not only assist with keeping your hair healthy but pro-long the colour too. For example using a purple shampoo on blonde dyed or highlighted hair helps to keep brassy tones at bay and if you use a good quality brand like TIGI Catwalk then you can assure that it's looking after your hair too. By only washing your hair as often as is actually needed you allow your natural oils time to take care of your hair and you reduce the chances of over-washing your coloured locks allowing them to lose the sheen and colour quicker than desired. So long as you remember to shampoo twice each time you wash your hair then it should stay clean for longer. Lather, rinse and repeat is a guideline that so many people don't adhere to but it works, try it for yourself. Turn down the temperature of your shower to wash your hair with lukewarm water because when washing your hair with water too hot it can cause heat damage and counter-act the nourishment offered up by products you've used. Not using conditioner can seem like an easy step to skip but in doing so you can leave your hair unprotected, open to the elements and difficult to brush through when wet which means more breakage. Some people argue that conditioning is more important than shampooing and you should consider your conditioner choice more carefully than shampoo, so pick one suitable for your coloured hair and hair type then remember to use it after your second shampoo, avoiding your roots. Some advice says not to brush hair when wet, others say that 50% dry is the optimum hair brushing time, but if you have to brush wet hair the main thing is that you use the right comb or brush to do so. Using a wide tooth comb or a Tangle Teezer and working from the bottom to tease out any knots or tangles reduces breakage while your hair is at its weakest. Gone are the days of reaching for a cheap little heat-blasting blow dryer you've had since you were 13 years old. Hairdryers nowadays have been developed to take care of your hair while you dry it, avoiding all levels of frizz and un-tamed volume by aiming to put integral moisture back into your hair as it drys. The new Panasonic nanoe for example, releases ultra-fine nano ions that penetrate your hair to help with moisture. It also has a healthy hair setting for quick-drying without offering up excessive heat to do so. Consider the hairdryer that you use now and the harm it colour be doing to your coloured hair. Having a selection of leave-in treatments, deep conditioners, oils and masks to do regularly at home will help you to keep beautiful dyed hair and longer lasting colour along with well-conditioned and healthy looking hair. Most people won't consider going to the hair salon for anything other than a wash cut and blow dry, a new style or a new colour but your stylist can help with the quality of your hair too. Most salons offer conditioning and Keratin treatments plus there is still a buzz around Olaplex thanks to the dramatic results and continued positive impact it has on dyed hair - talk to your hairdresser about what treatments they can offer you to keep beautiful well-conditioned hair.